ESRD @ CAASE 2018 Conference | ESRD | Engineering Software Research and Development, Inc. The Conference on Advancing Analysis & Simulation in Engineering. CAASE 2018 will bring together the leading visionaries, developers, and practitioners of CAE-related technologies in an open forum, unlike any other, to share experiences, discuss relevant trends, discover common themes and explore future issues. Our President & CEO Dr. Ricardo Actis will be joining other simulation experts to discuss Simulation Governance & Democratization of Simulation, in addition to other topics in CAE-related technologies & solutions. 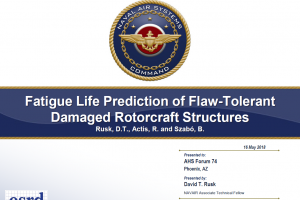 The technical and business value of numerical simulation performed by engineers across many industries, including those in the aviation, aerospace, and defense sector, is well established. However, the performance requirements and complexity of the products that engineers in these industries design has dramatically increased. This has created additional demands on the engineering organization to improve the speed, accuracy, and reliability of the simulation function. 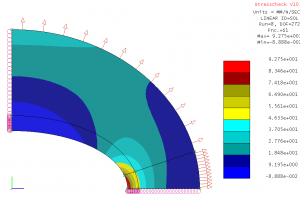 Incremental improvements to legacy finite element methodologies and software tools based upon them, are reaching a point of diminishing return as they struggle to address these new business challenges. All of this is occurring at the same time that the capabilities and complexity of these traditional FEA‐based tools require ever greater levels of expertise and specialization from the engineering staff. Simulation Governance, a concept that originated from the appreciation that numerical simulation is a highly complex activity, is essential to address these challenges. ESRD will be included in a CAASE 2018 roundtable discussion on Democratization of Simulation on Thursday, June 7th @ 1:00 pm in Room 23. This roundtable will be hosted by Comet Solution‘s Malcolm Panthaki, who will also be introducing a new web portal for simulation thought leaders called RevolutioninSimulation.org, or Rev-Sim for short. Advanced simulation should be safely accessible to everyone – not just the experts. That is why ESRD has joined the initiative at RevolutionInSimulation.org to provide thought leadership on Simulation Governance & Democratization of Simulation. We will be posting related papers, presentations, videos, blog articles and more in support of the advancement of this topic. Will You Be Attending CAASE 2018? Let Us Know!